There's more to mastery than on-point aim. 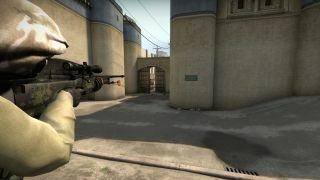 There are four different sniper rifles in Counter-Strike: Global Offensive. They’re all useful, and they can all help you win rounds. The key thing you need to know, aside from how to use them effectively, is when you should be using each one. Is it worth investing in a sniper rifle at all? Why not just buy another assault rifle instead? Sniper rifles work very differently compared to other weapons in the game. Each one excels in its own area. I’d say that it’s absolutely worth investing in a sniper rifle every now and then, as long as you know what you want to achieve. Maybe you want to hold down an area of the map and kill the first guy who peeks. If you suspect that they might have an AWP you should get one as well. Why? Because the AWP kills you with a single hit. That’s one of the reasons why AWP has become the most popular sniper rifle in the game: it straightforwardly counters all the other sniper rifles. Maybe you don’t expect them to have an AWP and you want to hold down a narrow corridor where they likely will try to smoke you out? Then an auto-sniper might be the gun you’re looking for. And sometimes it’s not just about getting kills. You might be low on cash and want to peek certain spots as safely as possible: behind the van on Mirage, for instance. Then the SSG 08 might be the right choice. You can jump and still shoot accurately when compared to the other sniper rifles, but you will need to land a headshot to kill an enemy with one bullet unless they’re close and didn’t buy armour. The upside is that the SSG 08 allows you to move around almost as fast as you can without a weapon equipped, making it the ultimate weapon to use when you want to peek for information and stay alive at the same time. First of all you need enough money. The AWP costs $4750, the SCAR-20 and G3SG1 both cost $5000 each and the SSG 08 is yours for $1700. When you use a weapon that expensive (SSG 08 excluded) you really, really want to buy armor as well. Sometimes, when you think it’s crucial in order to win the game, you can buy an AWP without armor, also known as a glass cannon. Like I mentioned earlier the AWP kills enemies with a single bullet. That’s the key to glass cannons being viable: kill them before they get a chance to shoot back. That’s not the case with the other sniper rifles, however, which is why I almost never use them without armor. Next, let’s look at the kill rewards. A kill with the AWP will give you $100 and with all the other sniper rifles you get the normal $300. What this means is that if you use the AWP you’ll not only get $200 less per kill, but with each kill you’ll deny your own team that same amount of money. As you can see it’s pretty important that you have a good reason to buy an AWP. In order for the other team to lose as much money as your team does when you die you need to kill either another AWPer or two riflers. You can’t however only look at numbers. At the end of the day you need to win 16 rounds. How you do that is up to you, but it’s a lot easier if you maintain a healthy economy throughout the game. Obviously you can find yourself in a favorable position by being creative and snipe from unexpected positions, but there are a few questions you should ask yourself first. Do I have a backup plan? Make sure you can back off safely in case you miss. Your weapon costs a lot of money and you won’t help your team win the game if you’re dead. Am I likely to win the duel if they have a sniper on the other side? Practice a lot and get comfortable with all the angles you might need to peek. Come prepared! By the van on Mirage. Excellent spot to play with the SSG 08. You can peek B-apartments and stay relatively safe at the same time. This is a spot where I like to use an auto-sniper. Most teams smoke lower before pushing, in which case I can spam the smoke and hopefully pick up a kill or two and stay safe at the same time. When I play from here I like to have a teammate playing around the bomb train peeking upper. After I’ve spammed the smoke I’m ready to assist my teammate from far back, using the long distance to my advantage. Ask a teammate to throw a flashbang over the roof towards long and use your AWP to take control over the area. Practice a bit so that you aim at the right spot when you come around the corner. That way all you have to do is to click and you should be able to score the kill. You should practice how to use angles to your advantage no matter what weapons you use, but it’s even more important when you’ve invested in a sniper rifle. It’s been little over a year since Valve lowered movement speed while scoped in when using the AWP, which means you now have to move around the corner and then scope if you want to be able to fire as fast as possible. Practice the technique, however, and eventually you’ll master it and wreck everyone on the server.